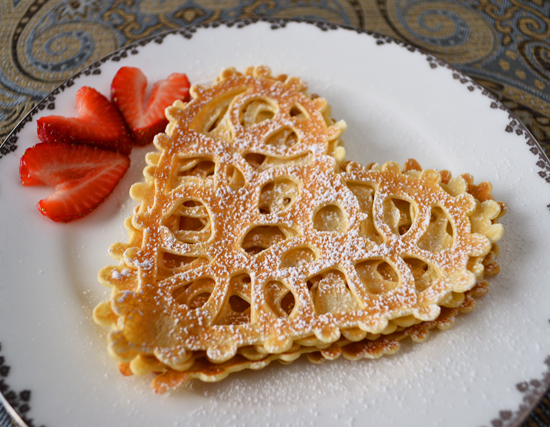 If you are still looking for a Valentine's breakfast idea that will sweep you off your feet, check out these beautiful lace heart crepes. The recipe couldn't be easier and with the tutorial and a little bit of practice with the squeeze bottle you will be serving up a beautiful heart shaped breakfast to your loved ones. You can get the Valentine crepe recipe and tutorial over at Duhlicious. This looks Deeeeeee-lish! Thanks for sharing! Now I have something for my hubby Tuesday morning! P.S. - I love the weekend linky party! I'm now a new follower!